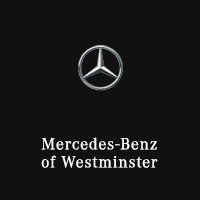 Every car should be serviced on a regular basis-even the high quality Mercedes-Benz. Avoid breakdowns and unnecessary repairs by keeping your Mercedes in tip top condition with regular service, inspections and repairs with the Flexible Service System offered by Mercedes-Benz. You can choose from Schedule A and Schedule B. Your needs for maintenance are even divided into service selections. Plus, when it’s time for service, you’ll be alerted and you’ll know what the maintenance specialists will be doing on your car once you take it in. The Flexible Service System lets you know how to take care of your Mercedes and eliminates the guesswork for you. It’s even affordable. The service on Schedule B is the same as Schedule A. The service system for Mercedes models with diesel is a bit different. Service intervals are different and additional services are performed. Your service advisor will provide you will all the details. Mercedes takes the time to keep its valued customers up to speed with specific information. All repairs are specific to the car’s model and year. Mercedes cars made in 2015 by AMG® and vehicles with V12 engines have specific service needs. Be sure to consult with your service advisor about these unique needs. You’ll also need to follow their instructions on how to maintain the vehicle. Mercedes-Benz offers a full range of services for vehicles, in addition to maintenance instructions and care. Contact us today for more information on how to keep your Mercedes in premium condition. This way, it’s smooth sailing all the way, whether you’re just out cruising or on your way to the office. Save money on repairs with the Flexible Service System. Your Mercedes will also last longer with the Flexible Service System. Price advertised for Service A/Service B includes all factory-required components. Please refer to your maintenance booklet for the complete list of factory-required services and details on the specific intervals for your vehicle’s year and model. MY09-newer.